Are you concerned about your child’s behaviors? Do you have questions about what is considered normal elementary and preteen behavior and what could be an indication of a more serious problem? 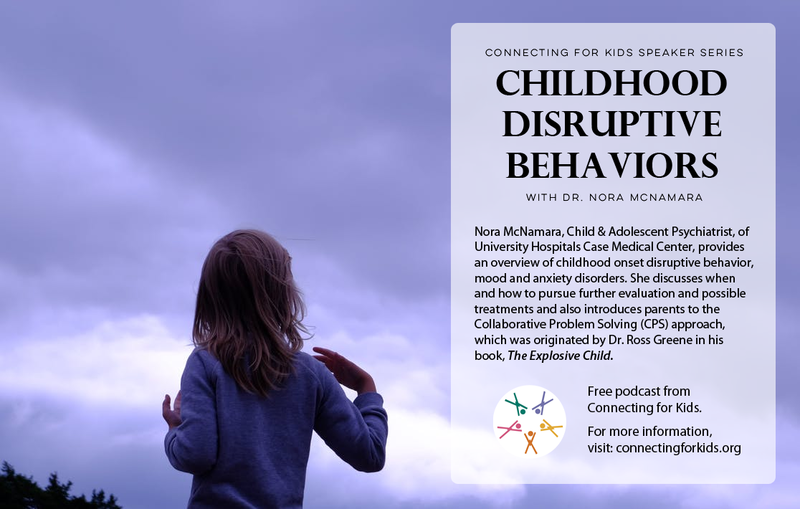 Join Dr. Nora McNamara, Child & Adolescent Psychiatrist, of University Hospitals Case Medical Center, as she provides an overview of childhood onset disruptive behavior, mood and anxiety disorders. She will discuss when and how to pursue further evaluation and possible treatments. Dr. McNamara will also introduce parents to the Collaborative Problem Solving (CPS) approach, which was originated by Dr. Ross Greene in his book, The Explosive Child. Note: This book is available in The Westlake Porter Public Library (WPPL) Special Needs Section (Cuyahoga County/Westlake residency not required).